For Dad – A very special chick! After a year or more of having the ducks and starting with the chickens, Dad happened to mention (only then?!) that they had had chickens when he was growing up!! They were Rhode Island Reds. One of my ambitions for this year was to hatch a Rhode Island Red (RIR) in Dad’s honour and so I got some RIR eggs which Lou and I incubated as part of the Leghorn hatch. Only 1 of mine hatched… but 1 was enough! 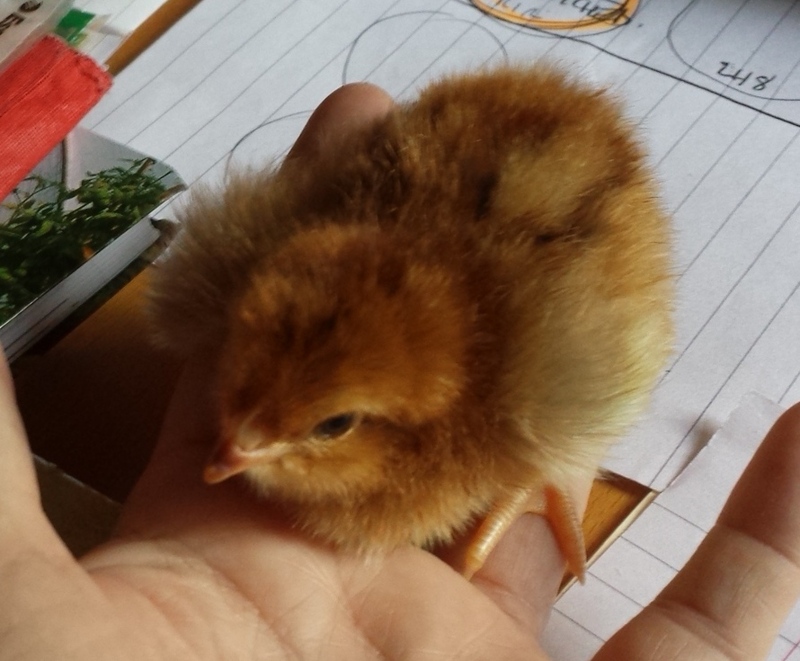 Sadly I couldn’t keep it as I have enough chickens and of course it might have been male. 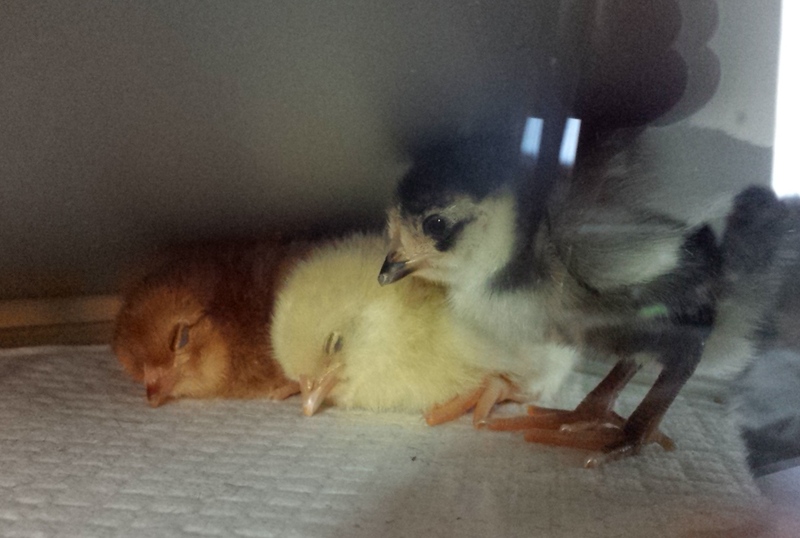 Here it is on the left, not long in the brooder.